Use your InstantPot to make this easy Poached Chicken Breast with Creamy Mushroom Sauce in under 20 minutes! Free from dairy and gluten and compatible with Whole30 or Keto, this will be a dinner that quickly gets put on repeat! Recipe developed in partnership with Pacific Foods. Something that I have been a bit obsessed with of late is InstantPot Poached Chicken Breasts. Why? Because it’s so dang easy and so helpful to have a flavor-infused protein on hand for quick meals. 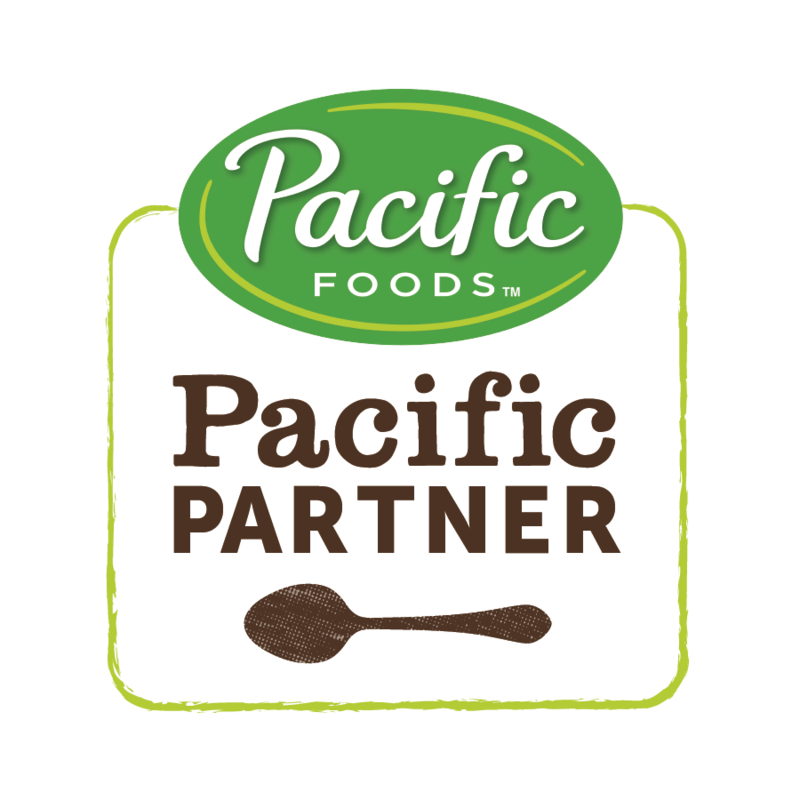 Last month I decided to poach chicken breasts in some Pacific Foods Organic Mushroom Broth along with some aromatics and I was instantly hooked on the awesome flavor of the chicken. So much umami flavor infused with shallot, garlic and mushroomy goodness. Then I started playing around with the leftover broth and used some to create a naturally Dairy-Free Creamy Mushroom Sauce and BOOM – this dish was born. I am sooooo excited to share it with you. It’s easy as anything and feels fancy – but in about 20-ish minutes. I served it with my Creamy Mashed Cauliflower with Ghee and some simple oven-roasted asparagus (10 minutes on 400F tossed in a bit of EVOO, salt and pepper). But, it would also be FABULOUS over some 10-Minute Instant Pot Mashed Potatoes, alongside some Garlic Rubbed Roasted Cabbage Steaks, on top of perfectly cooked rice or over some cauliflower rice. The possibilities here are seriously endless! Cover two large (1-lb to 1.25-lb) boneless, skinless chicken breasts with 4 cups of broth or stock. Add spices and aromatics as desired. Set to “0 Minutes” high pressure and allow for 10-minute natural pressure release. Manually release remaining pressure, immediately remove chicken, allow to rest for 2 to 4 minutes and test temperature. The desired temperature should be 165F. Yes! For the poaching technique listed above, you will need to add 3 to 4 minutes of high-pressure cook time and allow for a 15-minute natural pressure release followed by manually release, rest and temperature test. WHAT CAN YOU USE THE LEFTOVER BROTH FOR? Use your InstantPot to make this easy Poached Chicken Breast with Creamy Mushroom Sauce in under 20 minutes! Free from dairy and gluten and compatible with Whole30 or Keto, this will be a dinner that quickly gets put on repeat! Peel shallot and garlic and roughly chop. Clean mushrooms, trim stems and cut into 1/2" thick pieces. Divide the white mushrooms into two even piles, one with the shallot and garlic and one with the shitake mushrooms. Finely chop parsley for garnish, set aside. Clean lemon and zest half, set aside. Turn InstantPot to "Saute". Once hot, add 1 T of the Ghee and roughly chopped shallot, garlic, half of the white mushrooms as well as 1 tsp of kosher salt and 1/2 tsp of freshly ground black pepper. Add chicken breasts and 4 cups of Pacific Foods Organic Mushroom Broth. Cover, set to "sealed" and "0 minutes" high-pressure cook time. Allow for a 10-minute natural pressure release and then immediately release remaining pressure. Remove chicken to a cutting board to cool for 2 to 3 minutes. Test internal temperature (the desired temp is 165F). Slice chicken on the bias and divide into four portions. Strain poaching liquid through a fine mesh strainer into a heat-safe bowl or another vessel, making sure to capture all of the cooked mushrooms, garlic, and shallots. Transfer the strained vegetables along with 1 cup of the poaching liquid and a pinch of kosher salt to a high-speed blender or food processor and puree until completely smooth. Turn InstantPot back to saute and add remaining 1T of Ghee. Once melted, add remaining sliced white mushrooms and sliced shitake mushrooms along with a pinch of kosher salt. Saute for 2 minutes, stirring constantly. Add pureed mushroom sauce and cook for 1 minute until bubbling. Divide sliced chicken up onto 4 plates. Top with 1/4 of the mushroom sauce, finely chopped parsley and a pinch of lemon zest. Enjoy! INSTANT POT SIZE: I used a 6-Quart for this recipe. You can substitute EVOO for the Ghee. Or, regular Butter if dairy isn't an issue. This needs to happen soon for dinner! Hope you love it Lindsay! Such a perfect meal for weeknights! Perfect weeknight meal! So easy and delicious! Perfect for family gathering! This is our new favorite dish! It sounds so delicious and I am definitely going to make this recipe soon! This recipe was so quick and easy to follow yet tasted amazing! thank you for helping me find another keto friendly dish! Awesome Jade!!! You made my day – so happy to hear it! Oh wow! This looks absolutely fabulous! 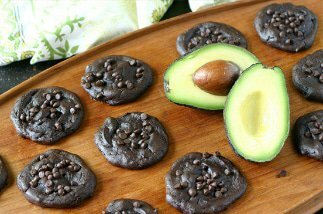 So easy to make and crazy delicious, so excited to make this! I just love all things mushroom! Quick and easy is right up my alley. Me too! I have been playing with adding even more sliced mushrooms at the end (like trumpet and chanterelle) and it’s sooooo good! I can totally see this becoming a dinner favorite! Looks delicious! That sauce has me drooling! I can’t believe you made this in the instant pot, so easy! Right? The IP is such a lifesaver!! Awesome! I hope you love it Chrissie! 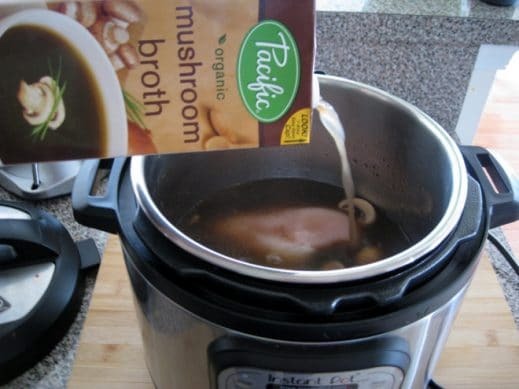 When you add in the chicken breasts and mushroom broth, is the setting really “0 minutes”? YES!! The pressurizing time begins the cook time and the 10-min natural pressure release finishes and leaves the chicken perfectly moist and not overdone!